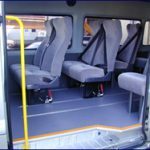 The majority of NMI range of products are utilized in various types and sizes of accessible vehicles – minibus & coach built. 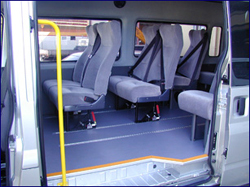 The quick and easy removal of seats is facilitated by our patented Millenium Legs and Fittings. Alternatively, space in the vehicle can be created by sliding tip up seats mounted to our Maxibase product. 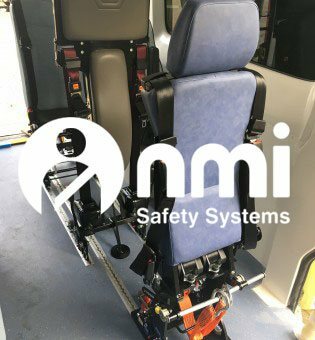 NMI supply our patented Maxicapacity Seats for middle or rear entry accessible coaches. 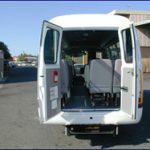 Does not have to remove any seats from the coach – so saving valuable luggage storage space and vastly reducing the time and effort needed to create space for the wheelchair. 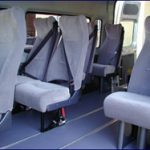 We design, manufacture and apply seat fittings & lockables in floor track to give extra seat mobility and safety for different transport vehicles. 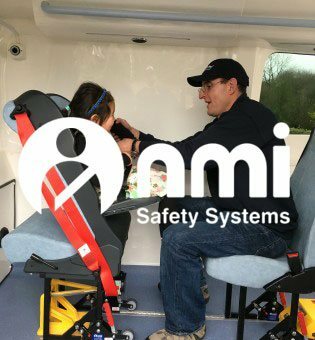 SitSafe have designed and patented a rear facing child seat which can be integrated onto the back of an adult seat for maximum safety. 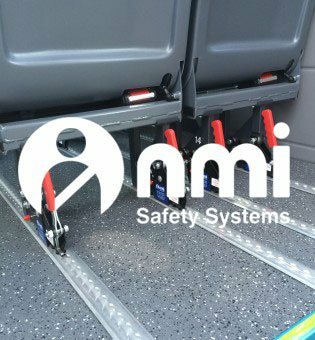 At NMI Safety we design, manufacture and fit docking seats to give wheelchair users maximum comfort and security. Take a look at our raqnge of docking seats. 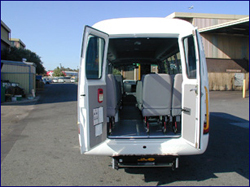 We manufacture and design wheel chair tie downs back headrests for passengers. 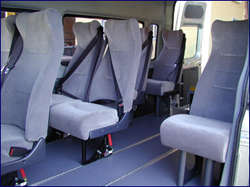 This maximises safety and comfort for passengers.